Odessa by Bram Bosis not just your typical one trick pony universal sequencer. This 6 in 1 MIDI power house packed with several different types of sequencers and an LFO generator. best of all it’s an Audio Unit! 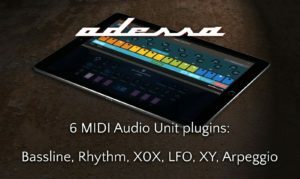 Kick back and check out this quick Acid Breaks demo jam I threw together in minutes using this awesome suite of apps called ODESSA…. 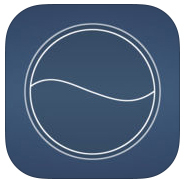 SENODE is a new music composition app for iPad. It extends the concept of linear step sequencers to a freely connectable graph with an unlimited number of instruments traveling along the edges. The simple “finite state machine” model allows you to create complex polyphonic sequences and play them in real-time. The core of Senode is a graph of Nodes connected by Edges. You decide if it behaves like a simple vending machine or a complex pinball game. Each Node triggers a sound when activated, while Edges determine the direction of travel. Instruments are controlled by Emitters which send their Tokens onto the graph. That means, you can compose a generative music piece for a whole orchestra using the graph notation and a couple of Emitters! It gets more interesting if you add random directions or emit multiple Tokens at different time positions. You can compose and perform your music live using the intuitive multi-touch interface. The on-screen keyboard helps you to visualize and edit notes assigned to the currently selected Node. 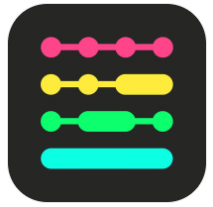 Drag and connect Nodes with multiple fingers or use the lasso tool. Activate a sequence by sending Tokens onto the graph. Use your fingers to step through sequences manually or tap the master clock. All synth parameters are accessible from the main panel with multi-touch as well. Each Emitter contains a simple but powerful subtractive synthesizer with main OSC (sine, saw, square), sub OSC (sine), 1-pole lowpass filter, stereo reverb and ADSR envelope. Try the demo patches to get inspired! 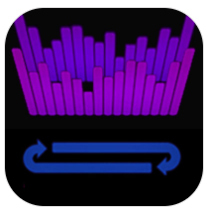 Senode is the perfect sequencer for all MIDI-capable apps. If you connect a MIDI interface, you can even control your hardware synths with the app. Use the step record function to create new nodes on the fly, either from single notes or with chord detection. For advanced compositions, we recommend to connect a MIDI keyboard via lightning adapter and capture your song ideas as you play. Where pattern or piano-role sequencers are good for music forms (intro/verse/chorus etc) or grid entry, Quantum’s approach is built around the idea of a step being the focus – think of the step as a single note or chord written on a music sheet then add a lot of extra notation (like probability of playing or ornamentation say). These highly detailed steps are then aligned into sequences (think melodies) that loop. You can have any length up to 64, but these can be further split into 4 sub-sequences that have their own set of sequencer parameters (like tempo, play direction, transpose etc). To enter step parameters such as note pitch, velocity, gated length etc, 16 general faders are available which allow you to draw, drag, select copy/paste, inc/dec & link together to edit values. These are also midi learnable (midi cc or nrpn) to allow you to use control surfaces or midi controllers. To aid you with faster control Quantum has loop actions which you can program in to carry out tasks when a sequence loops – e.g. transpose, randomise, start or load another sequence etc. With up to 24 sequences playing Quantum introduces a mixer page allowing you to blend midi velocities. Built on the MidiSequencer engine, midi FX, devices & Controllers are now possible per sequence. So why would Quantum be good for your setup? There are many midi enabled IOS & hardware synths that produce exotic timbres if you send them fast & varied midi controls that you just would not hear with keyboard playing or slow tempo tunes. Also, Quantum, embraces experimentation in melody creation and by copy/pasting allowing quick setup of arpeggios & counterpoint tunes that you can create & manipulate on the fly! Refraktions is a generative MIDI sequencer with artificial intelligence that processes input over time to create loops tailored to each individual user. Features Ableton Link and more! • Audiobus 2.3.2 added, all sounds routed to a single send port. • Added 14 musical scales. • Rebuilt audio engine for lower latency and future expandability. • Rebuilt gesture recognizers for better control of tempo and jog wheel. 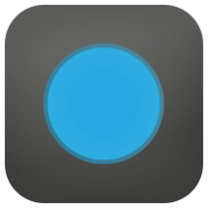 • Added right-swipe gesture to erase sounds of individual instruments. • Improved AI to better reproduce user’s composition density.